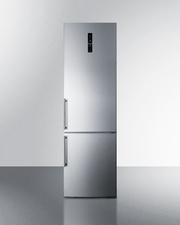 SUMMIT's counter depth series of FFBF refrigerator-freezers offer professional style and user-friendly features for the modern kitchen. 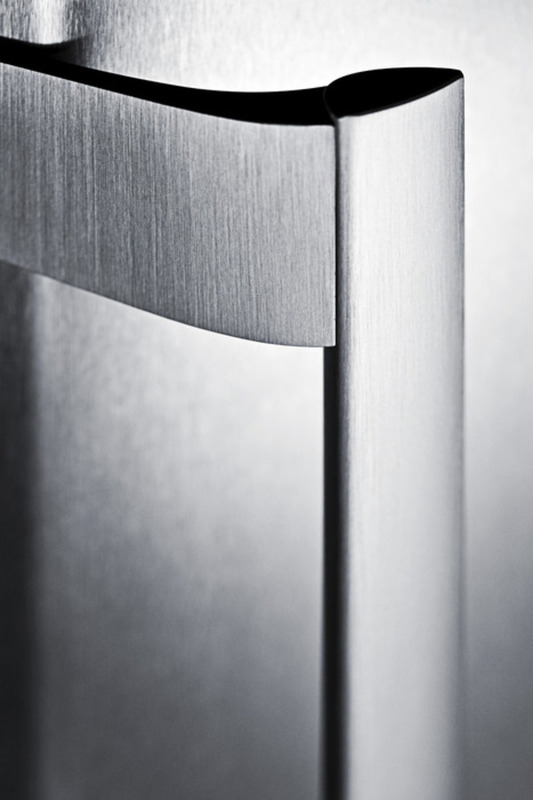 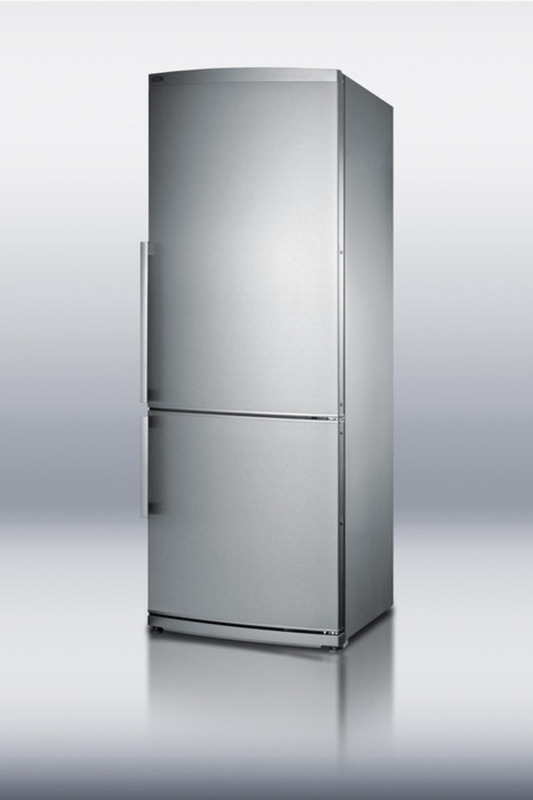 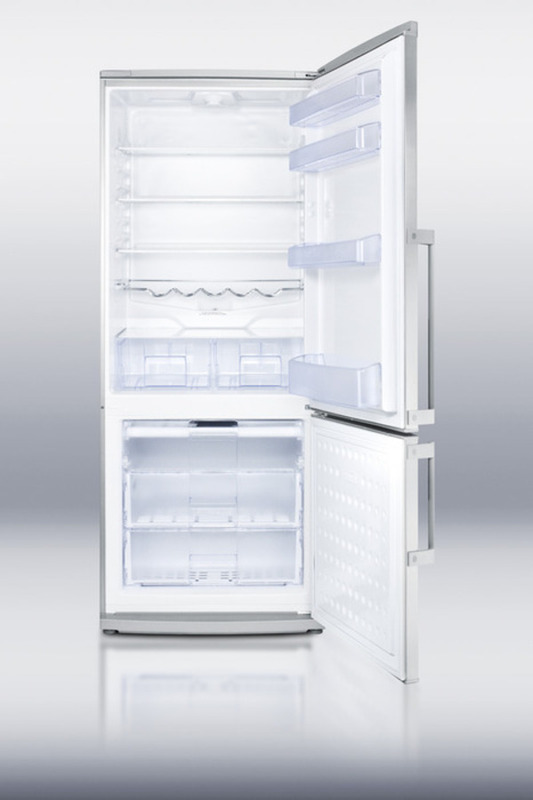 Designed and manufactured in Europe, the FFBF285SS has a large bottom frost-free freezer, a design rarely offered but in high demand on apartment-sized units. 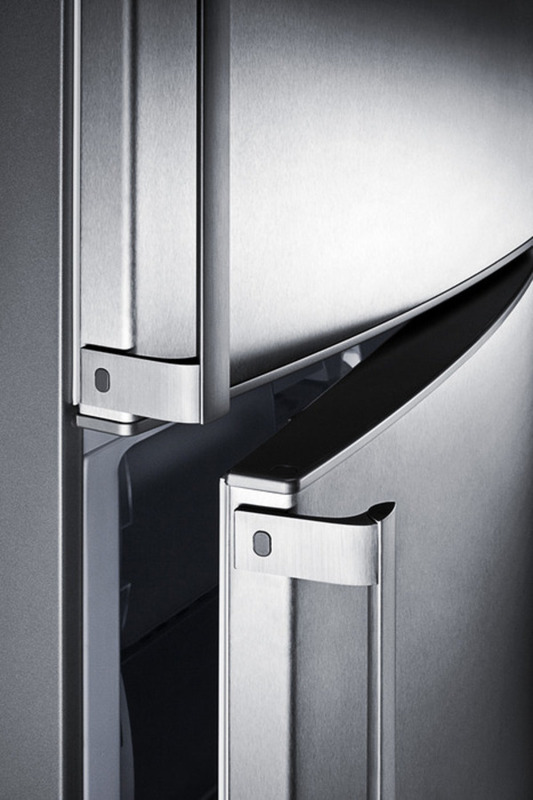 Inside, the frost-free freezer features three covered drawers to help keep the cold inside, even when the door is opened. 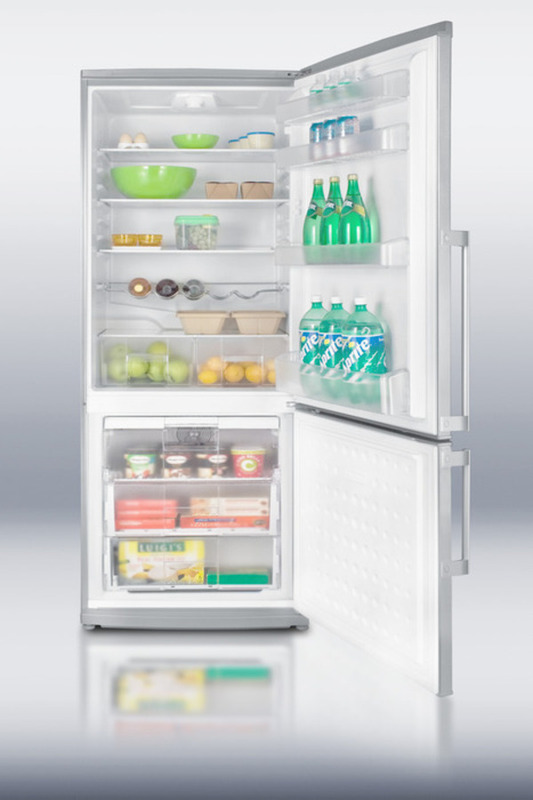 Conveniently sized at 27.5" wide and under 24" deep, the FFBF285SS offers nearly 14 cu.ft. 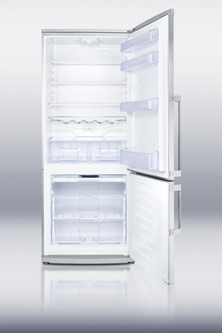 of interior capacity. 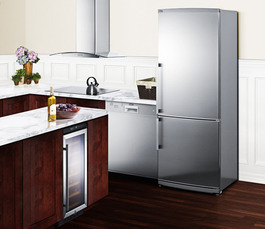 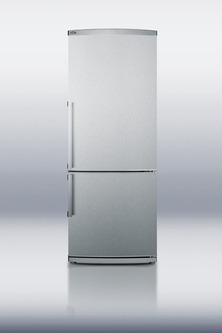 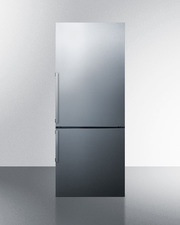 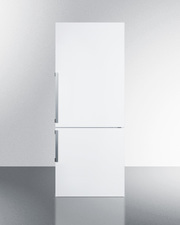 This model has a platinum cabinet with reversible stainless steel doors. 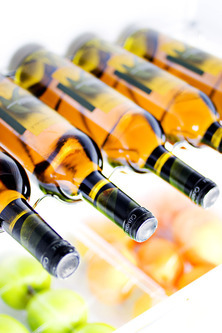 The auto defrost refrigerator interior is thoughtfully designed for proper storage, with adjustable glass shelves, two crispers, door racks, and a scalloped steel wine rack. 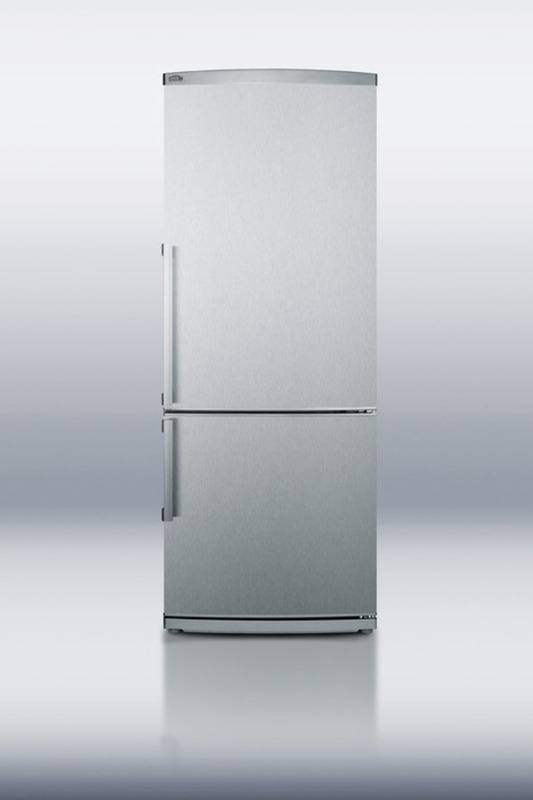 Fully featured and perfectly sized, the FFBF285SS is the ideal refrigerator-freezer for any home seeking full convenience in an easy fit.